I’m delighted to announce my involvement with the Sony Pictures blockbuster movie Passengers. It’s a mega-budget sci-fi film starring a glittering cast – Jennifer Lawrence, Chris Pratt, Michael Sheen, Laurence Fishburne and Andy Garcia. And, amazingly, me (well, my voice). I play the part of the Starship Avalon, the super cool spaceship that carries our heroes, the passengers, on their incredible journey across the galaxy. I was contacted by Sony a few months ago asking if I’d be interested in trying out for the role. (Interested? Ha! You betcha.) And after I’d submitted a demo, I was told I’d got the part. Honestly, I couldn’t believe it. I’m so, so lucky. I’ve worked on some fantastic projects but never on a Hollywood movie before. I had to liase with many departments (post-production, audio production, IT, legal, ADR, finance) and what was so impressive was just how efficient it all was. Even though many people were involved, decisions were made quickly and communication between everyone was brilliant. We had to record the audio in my studio in the UK. I sent a studio demo over to the audio guys and they liked the sound – even the ‘dead’ silence in my voice booth. In particular, they liked the sound of my mic. (I use a Neumann U87A). The session was scheduled for the evening (UK time) and as I worked through my time zone’s daytime, I was waiting for California to wake up. I’d been sent the text the night before so I could do some prep. I was delighted to see that my voice would appear in all 8 reels of the film and I had a lot of lines. I didn’t see any other dialogue though, just my lines. The afternoon before the session I took myself off to a coffee shop to work through the script. It occurred to me that the Avalon had different ‘modes’: customer care, information, announcements to first-class passengers, and the emergency voice. I emailed over an mp3 of me demoing these different styles so Morten and the guys in ADR would be able to make the most of our session time and give me clear direction. (I LOVE getting direction). Above all, I wanted to check they agreed with the ‘mode’ idea. I also asked some questions about the Avalon: was it sentient, was it aware of any danger, did it have a secret? I’m used to doing lots of different types of voices in my work every day, so these kind of questions were nothing unusual. When the sound crew got to work at the start of their day, the audio guys – who were just fantastic to work with – gave me my answers. 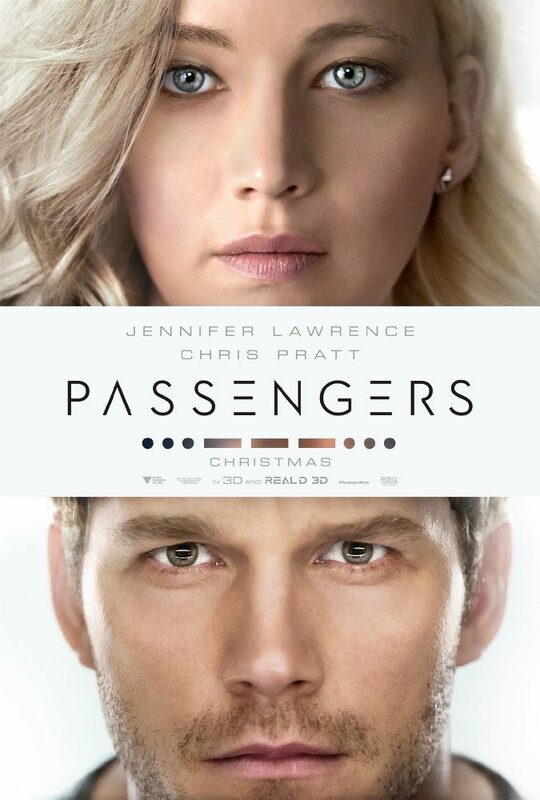 (For more on the audio approach to ‘Passengers’ click here). When the session time rolled round I felt I was as prepped as I could be and waited for them to log in from Los Angeles via Source Connect. I made myself a coffee and while my kids were eating dinner and doing their homework, I was getting ready to do my first recording session with Hollywood. Me, being The Starship Avalon, in space. At the beginning of the session, I just chatted generally about my lines with the guys in the audio department. The director Morten Tyldum and the editor Maryann Brandon arrived and we discussed the Avalon’s different ‘modes.’ My husband – who had been sworn to secrecy about the whole project – asked me if I felt nervous speaking to such well-respected movie people, if I felt intimidated. I honestly didn’t. I was having the best fun. The Avalon needed to sound friendly, authoritative, safe and maternal. The passengers are being supported and nurtured by the spaceship and this is their home. It has to sound approachable and caring, sophisticated and human. There shouldn’t be any trace of dodgy text-to-speech jerkiness. And no, the Avalon isn’t sentient. It’s just a computer. Once I’d been briefed, Morten, Maryann and the audio team left me to record my lines alone in a self-directed session. I was delighted they trusted me to do a good job on my own. They said they were confident I could do what they needed and they just cleared the line and left me to get on with it. It took about two and a half hours to record the first batch. I sent over the audio reel by reel through their secure system so they could be working on my stuff while I was recording the next bit. The customer care voice needed to sound friendly, fresh and clear. The information mode needed to be slightly more authoritative but still friendly. The first-class voice a little curvier, a little more sensual and a little bit deeper in pitch. The emergency voice was the one that had the most possibilities. I described this voice as being the ‘core’ of the computer. Its chimp brain. The least sophisticated, most base part of it. The part that the programmers never thought would ever have to be used. Getting the tone right for this was the most challenging. I did three versions of this voice. One that sounded quite harsh and abrasive, one that I described as being ‘gut-wrenching Shakespearian tragedy meets The Software Update From Hell.’ And finally, the version we settled on – an almost expressionless baseline voice. It had to fit in with the special effects, the music and not compete in any way with the on-screen action. For this mode, I needed to sound not too dark, not too light, not too ethereal so that anyone watching could project whatever they wanted onto the voice. I gave the guys lots of versions with ever-so-slightly differing tone colour – some brighter, some more intense. Have a listen to the finished result. To voice the lines in this style I had to give each line of dialogue equal weight, with no inflection or intonation. It had to be dead flat, read with no facial expression, giving no account of the meaning of the words. If you’d have seen my eyes in that session you’d have seen the bland, dead eyes of a mannequin. When the ADR guys put my dialogue into the film, they saw I had to record a handful of the lines 0.3 seconds quicker to match with the guide track and the way the visuals worked. So there was a quick pickup session where I gave them different speeds of the lines, accelerating my delivery 0.1 of a second each time to ensure they had plenty of choice. All my dialogue was recorded in my voice booth in Cheshire in the north west of England. It was strange to think that my little studio had been host to Hollywood. After the recording session I was buzzing. I didn’t sleep much as I kept checking my email as California time swung slowly towards their afternoon and evening. I knew they were working on the audio and I wanted to be sure they had everything they needed. Later that night the guys told me that the audio had been received and reviewed and they were really happy with it all. The next morning it was back to my regular voiceover work. My first commercial opened with the line “From light bulbs to loo rolls, we’ve got it all” so I was certainly back down to earth. I’m so chuffed to be part of this film. I really hope you like it. Want to hear some of my more unusual voiceovers? Click here. Excellent job Emm, it’s just awesome news, so so so proud of you. Oh wow ! I’d better go and see the film now. Wow and I thought I was only going to see the film to gush over Chris Pratt 😉 well done Em – that’s awesome ! Wonderful, Emma! Thanks for sharing what the recording experience was like too. It’s great that the session was done from your studio. And here’s me, asking you to add an S to Saturday because I cocked up! Little did I know I was talking to a movie star! Really happy for you, Em. If anyone deserves it, it’s you. Fantastic Em, fantastic. Now I can say I know a movie star!! Wow Emma I knew your voice was intergalactic. Your voice has hit the world and beyond in ways you should be proud of. I am in knowing you. When I worked in Sweden, a colleague said he’d been to a social function (wedding?) where the woman who “did” all the stop announcements on the trains and buses in Southern Sweden, was one of the family guests; he said it was weird hearing her saying “normal” things ! PS. We saw the film last night. “Calm under pressure” I think describes your role ! Think you need to be the go-to-person for star/spaceship computers and customer support ! Impressive work, but I had a real moment of cognitive dissonance as you sound remarkably similar to Amy Pemberton (the voice of the timeship “Waverider” in the television series Legends of Tomorrow. Check out some clips! Found you! Your voice is so impressive in the movie I kept replaying them and thinking wow you must have put a log of thought into it. I just loved the core computer voice! I seen more than 3 times the movie just to ear the excellent work Emma! Greeting from Portugal!